Find out how a well-respected B-to-B player with little brand recognition became a talent magnet with wide appeal amongst its target talent audience. 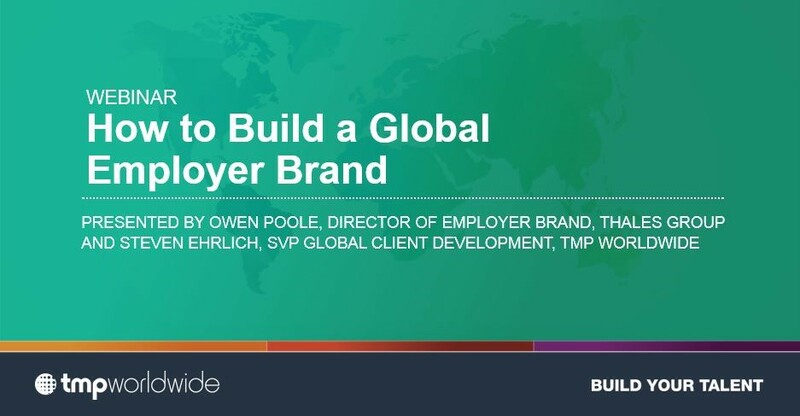 In this webinar you will hear the Thales story from their Director of Employer Brand, Owen Poole, joined by TMP's SVP Global Client Development, Steven Ehrlich. Learn how Thales used their people as ambassadors to break down the silos within its business so all departments work together in order to build a global employer brand.